Are you in search for a copyboard, competent enough to cater your writing needs efficiently? 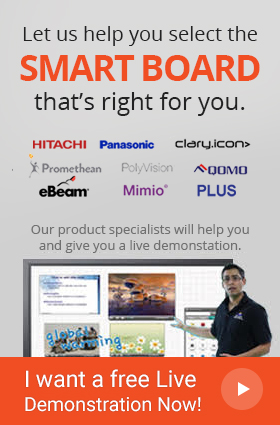 Because PLUS is now offering the N-32S standard electronic color copyboard. The new N-32S comes loaded with so many features that makes presentations, lectures and brainstorming sessions not only interesting but fun. It is specially designed to save your meeting notes with confidentiality making it ideal for information sensitive environments. For scanned email delivery, SMTP (Simple Mail Transfer Protocol) is used as it is compatible with all types of major email programs. It is simple! Email can be sent by swiping the NFC card or the employee ID card (type A or Felica), after which the written data will be attached as a scanned file in the email and it will be sent directly to the designated email address. Once the mail has been sent, the countdown begins which is for the purpose that if other employees are interested in the same scanned file they can swipe their card during countdown and they will receive the same file that was sent earlier to the first employee (who swiped his ID card) and if no one wants it, the file gets deleted when the countdown ends. What’s interesting is that the countdown is controllable through ‘countdown cancel’ button, in case you do not wish to delete the scanned file. Now that you have received the file in your emails, the message will contain layers of security and the document will be sent as an attachment file in PDF, PNG & JPG formats. The N-32S standard electronic color copyboard is capable of saving up to 5,000 email addresses and all this data can be uploaded as a .csv file through the web interface or simply by the available mail manager software. The second way to save the complete data is through scanning the IC Card that initiates the save function to FTP server. By installing the PLUS MTG Pocket App, employees can now have access to the scanned images and data through their phones. For connecting the PC with the N-32S copyboard, attach a USB cable and save the data as well as the images. Keeping track of important sessions was never this easy, thanks to the N-32S standard electronic color copyboard. It can be perfectly consumed in bid classrooms, meeting and conference rooms. Q. Is the PLUS MTG Pocket app available free of cost on App store and Google play? A. Yes, the PLUS N-32S electronic Copyboard comes with free PLUS MTG Pocket on App store and Google play. Q. Is PLUS N-32S electronic Copyboard device maneuverable? A. The PLUS N-32S electronic Copyboard is very lightweight and can be easily transported anywhere. Q. Can I save information in my android device with PLUS N-32S electronic Copyboard? A. Yes, you can easily save the information in your smartphones via the PLUS MTG Pocket app by creating a wireless access point while using the app. Q. Can I share information with my colleagues using this platform? A. PLUS N-32S electronic Copyboard gives users the ability to write, save and share in real-time. Q. Does PLUS N-32S electronic Copyboard come with a warranty? A. Yes, the PLUS N-32S electronic Copyboard comes with a warranty of 1 year.